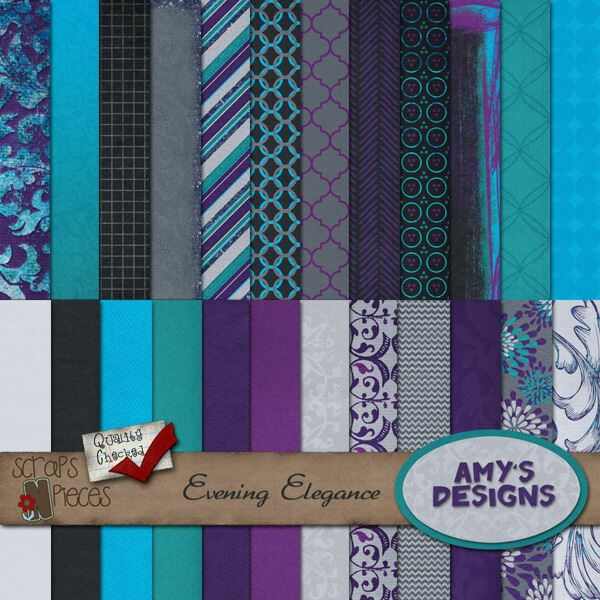 Today is release day for a fabulous digi-kit from Amy’s Designs. It is called Evening Elegance and it is perfect for portraits or other fancy photos. Amy actually gave it away in 6 pieces in February and March, but if you missed your chance to snap it up for free, don’t despair, you can purchase it on sale this weekend. 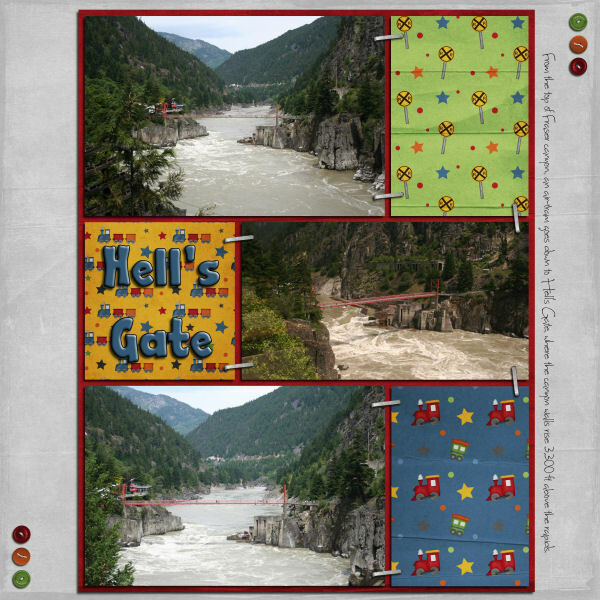 I have two layouts to share using this kit. First up is one of my sister-in-law Tami. I have very few photos of her, but I really like this one taken in 2010 at a family reunion. The only thing I don’t like about the photo is the busy background. I felt it was distracting from her pretty face, so I extracted just Tami from the image. However, I didn’t like her without the shape of the photo partly because extracting hair is hard, so I put another copy of the photo behind the extraction and radially blurred it. I need to practice some more so I can just remove the distractions. 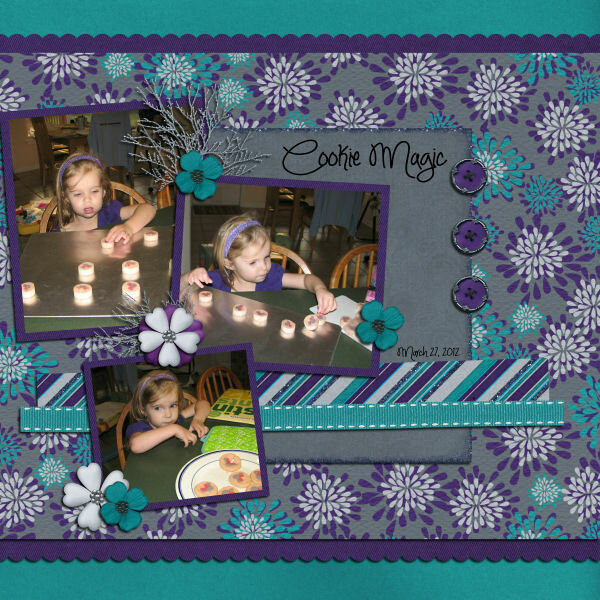 I used Creative Scrappers Sketch #203 as my starting point. This second layout is of Jessica. I had bought some cookie dough with a Minnie Mouse design (why that was considered Easter cookie dough is beyond me) and she had fun placing the pre-shaped dough on the cookie sheet and then eating the cookies after baking. Yesterday, James and I celebrated our eighth anniversary. Celebrated is used loosely here, since all we did was exchange cards. This coming Saturday night we’re going out to dinner. 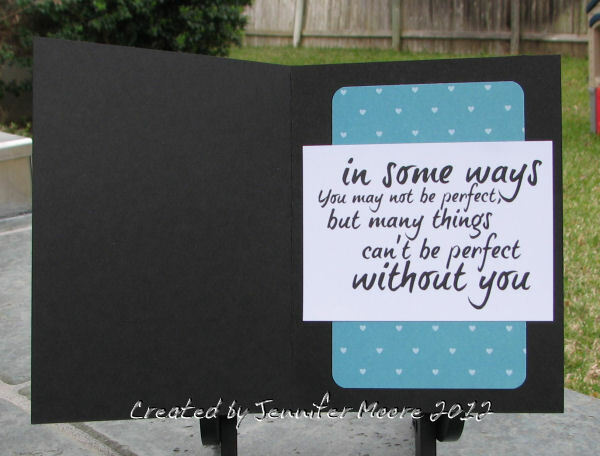 The card I made him uses Jen del Muro’s February Sketch for You to Try. I had intended to do our wedding colors, silver and purple, but I didn’t find the right pattern paper to make that work. 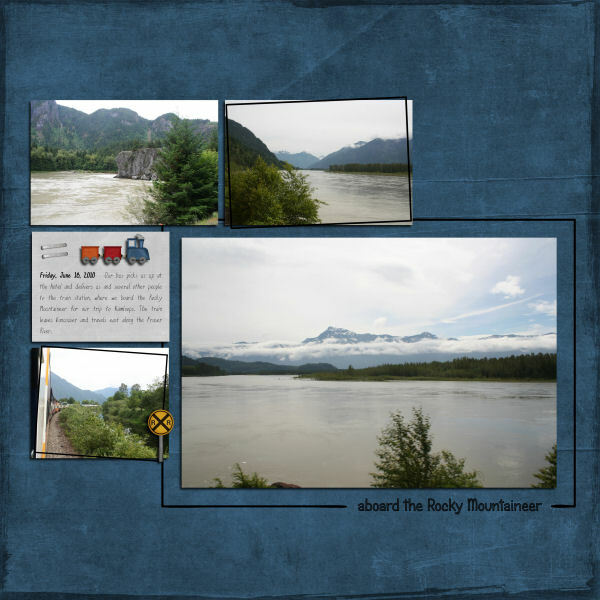 Today, I’m sharing five more layouts that will go in the album I’m making for my parents about their Canadian Rocky trip. I’m trying to finish it up before the baby arrives. 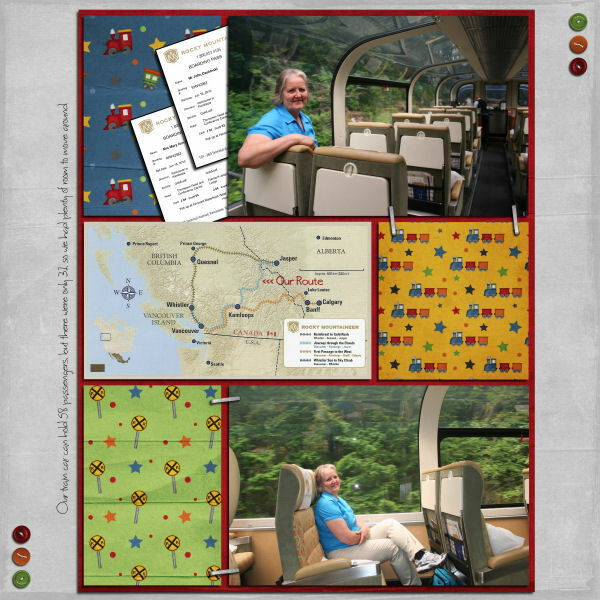 All of these layouts are from the first day of their journey on the Rocky Mountaineer. 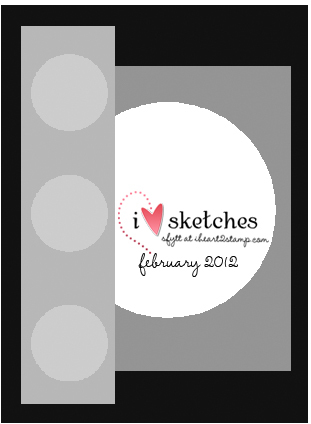 On this next layout, I used Sassy Lil’ Sketches Send Off Sketch 5. 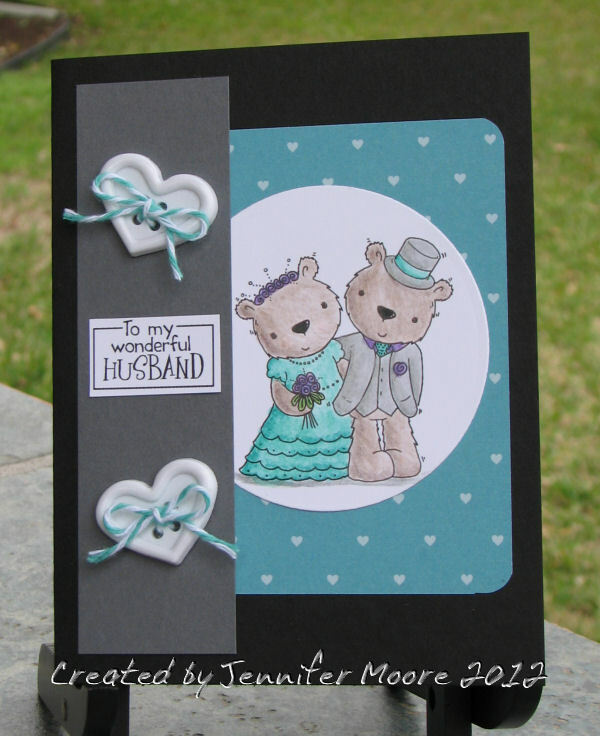 I decided to try out a new card challenge this month over at Designed 2 Delight. 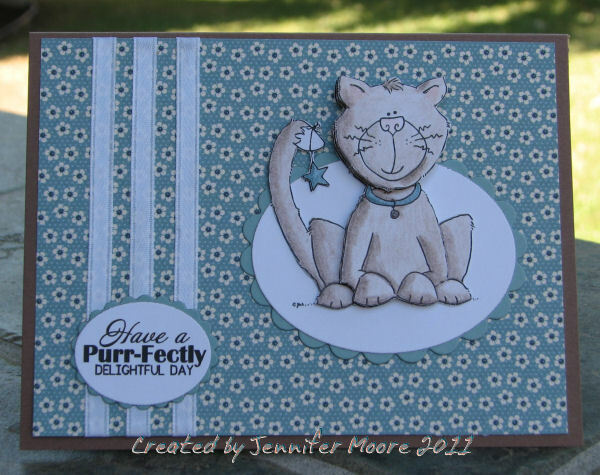 It is a progressive challenge, meaning we were provided this adorable kitty image for the first challenge of the month and each challenge we will be given another digi stamp. The only requirement was to use this kitty image, so it was a pretty easy challenge. Even though, the kitty is a Halloween kitty, I decided to go a different route. I decided to take my color scheme from the current Inky Impressions Challenge #23 to use brown and cornflower blue. I also decided to use the sketch from Tuesday Morning Sketches #110. 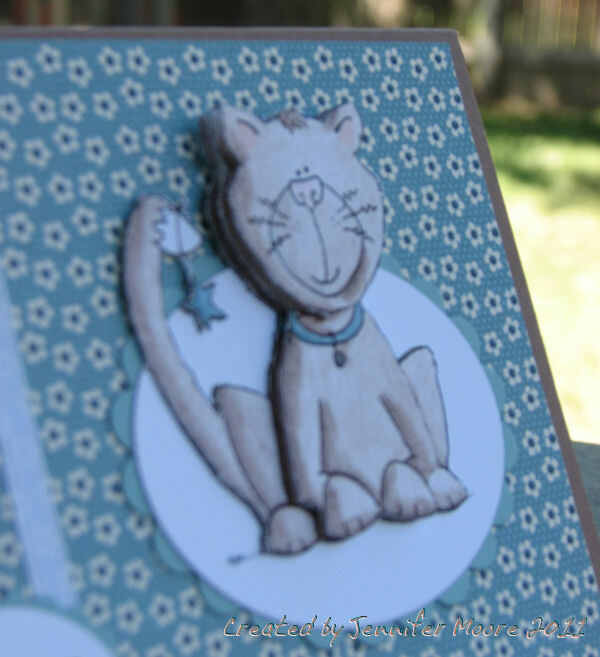 I’m also going to enter this in Stamp Something‘s last digi-day challenge. They’re only doing one more challenge before closing the doors on the three-year old challenge site. I also really wanted to add some dimension to the kitty so I printed him four times and cut out pieces and popped them up, so it would appear he was coming out of the card. This picture isn’t the best picture, but it shows the dimension. Last week our chest freezer had issues and we realized it had no power for undetermined period of time. James figured out the problem and got it running. Wednesday night, we emptied it of all the spoiled refrozen food since yesterday was trash day. We then unplugged it so I could clean it out. Today, I have plans to sop up all the thawed juices and then clean it thouroughly before plugging it back in, but I am procrastinating because the whiff I got when I opened it was not a good whiff. And my pregnant nose smells way better than I want it to for this task. 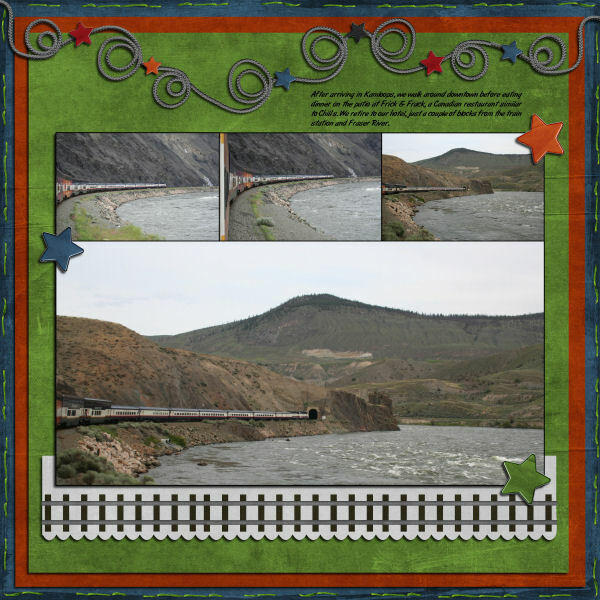 So instead, I’m going to share this layout I made last night. It uses the Scrapbookbytes.com August #1 sketch. I really like how it turned out. I’m rather jealous of the beautiful scenery from my parent’s Canadian Rocky trip. One day, I too will visit the Canadian Rockies. Of course, not anytime soon. The journaling reads: We ascended the summit of The Whistlers, a mountain named for the whistling sound made by the Hoary Marmot, via the Jasper Tramway. 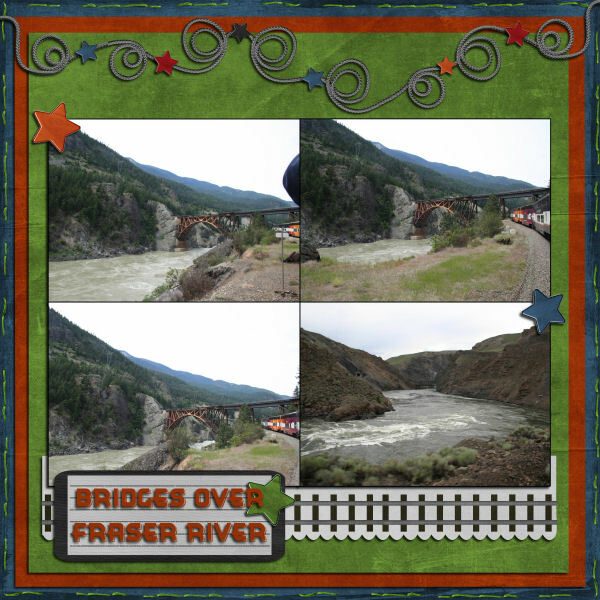 Jasper Tramway is the highest and longest guided aerial tramway in Canada. 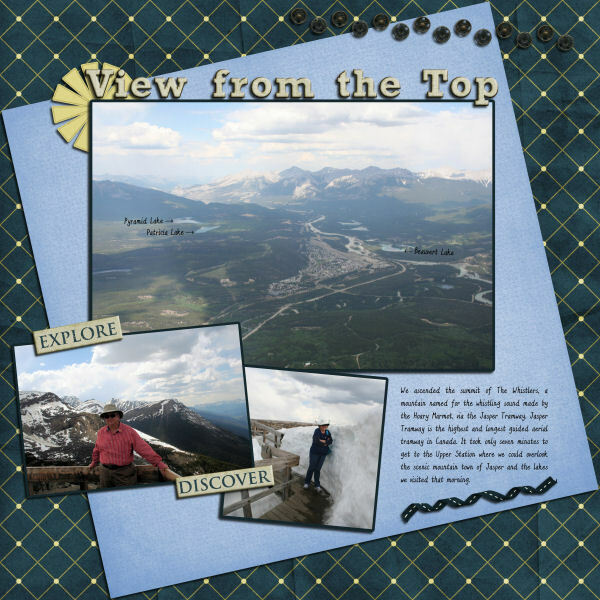 It took only seven minutes to get to the Upper Station where we could overlook the scenic mountain town of Jasper and the lakes we visited that morning.